Talc is a trioctahedral mineral that is generally massive, leafy, fibrous or radial, very soft in texture and has a slippery feel. There are many uses for talc, such as refractory materials, paper making, rubber fillers, insulating materials, lubricants, pesticide absorbents, leather coatings, cosmetic materials and engraving materials. Talc is the softest mineral, and nails can leave scratches on the talc. According to the lithology of the ore-forming ore and the geological properties of the ore, the talc deposit can be divided into two major genetic types, and then sub-classes are further classified according to the ore-forming geological conditions, ore-forming hydrothermal fluids and material sources. The first type is ultra-basic rock-type alteration deposits, which are divided into two major categories: metamorphic ore and magmatic hydrothermal deposits. The second type is a magnesia-rich carbonate hydrothermal metasomatic deposit, which is subdivided into three types: regional metamorphic hydrothermal metasomatism deposits and magmatic hydrothermal metasomaties. Since talc is naturally floatable, it can be floated using a hydrocarbon oil collector. Commonly used collectors are kerosene and flotation oil as a foaming agent. The foam produced by methyl isobutyl methoxide (MIBC) is brittle and easy to obtain high quality concentrate. Talc is ultimately applied in powder form, so fine grinding and ultra-fine grinding are the processing techniques necessary for talc. Talc has a Mohs hardness of 1, which is naturally breakable and grindable. Various types of Raymond mills (suspension roller mills) are generally used, mainly producing products of 200 mesh and 325 mesh. YGM Raymond mill can grind talc into 50-400 mesh powder. The standard configuration of Raymond Mill consists of main unit, reducer, powder classifier, cyclone powder collector, dust cleaner, blower, control cabinet motor and pipes. The optional accessories include crusher, bucket elevator, feeder. 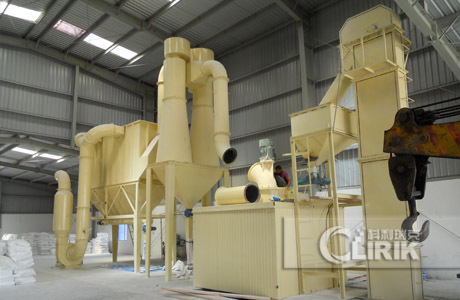 Another recommended machine is talc ultra fine grinding mill. This mill can grind talc into 200-2500 mesh powder. 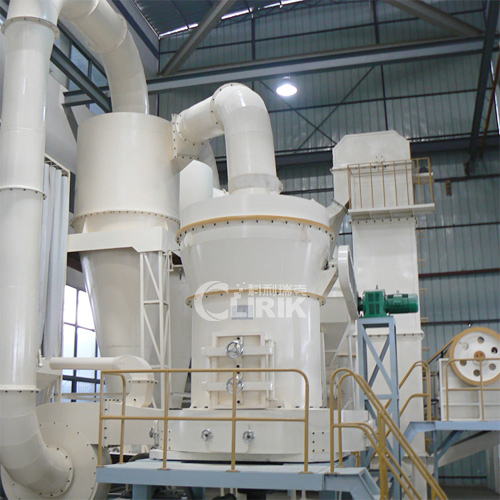 Micro Powder Grinding Mill is mainly formed by mill body, blower fan, ultra-fine analyzer, finished product cyclone container, bag de-duster and air pipe. The elevator, storage bin, electric control cabinet, powder feeder and crusher are optional for the demands of customers.